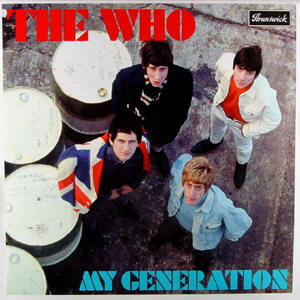 The Who wrote the song My Generation - a song all about change and recognising that generations are different. We live in a very fast developing world now. There are some huge differences between the generations of Baby Boomers, X, Y and Z, but perhaps the biggest difference is how we interact with technology and the internet. So what are these Generations? A recent article (http://www.cmo.com/articles/2015/6/11/15-mind-blowing-stats-about-generation-z.html) on Generation Z that was shared on Facebook, was fascinating. So we went off and found out about the different Generations we have. We start with the Silent Generation (mainly a US term) born 1925 and 1942, and the Baby Boomers born early 1940's until the early 1960's. Enormous change in their lives. The introduction of television, Computers, easier transport with cars and passenger aeroplanes. The world became a much smaller place during their lifetimes. The next generation is the one I sit squarely in, Generation X. Born between 1966 and 1976. Also known as the latch-key kids, as they got used to both parents working. Much like the previous generations they began life with no internet, mobile phones, 24-hour news, in fact, there were only 3 television channels. Then we have Generations Y and Z, Y born between 1977 and 1994, and Z born between 1995 and 2012. Both have always had technology as part of their lives, they don't really remember life without mobile phones and the internet. In fact Generation Z can barely remember not having a iPad put in front of them when there were a baby. Tech comes very easily to these generations. The main difference between the generations is attention span. With the newer generations they have never known things take a long time, so you have to act pretty quick to keep them engaged. For advertisers, this is becoming harder and harder. Gens Y and Z get their entertainment from a huge range of sources, and lots don't ever sit in front of a television or read a newspaper. In fact, they shop differently too. 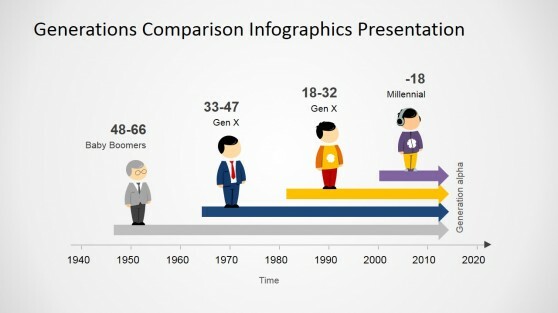 The difference between the generations is pretty obvious to most people, but we older people, have to recognise that they if they are not already our customers, and lots are, they certainly will be very soon. We have to change the way we think and market ourselves to make sure we not only get their attention but keep it. We could write more, but there are lots and lots online. I found this article http://bit.ly/1Tnqt6h particularly informative, but then I am Gen X! Generation X Image from Arras People http://bit.ly/1Tnqt6h - really great article.